I am sure that you will agree that wedding transport plays a big part on your special day and can bring everything together, not only functional but beautiful. A classic vehicle will always make a great impression and always looks great in wedding photographs. You will therefore want to make sure that it fits in … More Which Wedding Transport Is Best Suited To Your Theme? Leave a comment Which Wedding Transport Is Best Suited To Your Theme? Read the latest issue of BYW Magazine! http://www.magazine.bookyourwedding.co.uk We’ve got lots of articles for you this issue, including: Magical Christmas Guide, DIY Wedding Guide, Bridal Lingerie & More! Browse all our hints and tips to help your big day run smoothly. 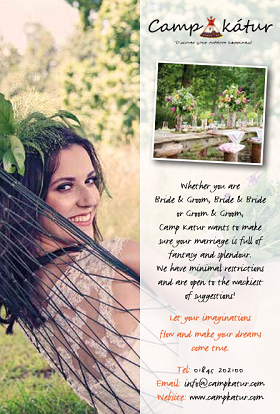 Don’t forget our fabulous wedding suppliers who are ready to help make your dream wedding a reality. If there is … More Read the latest issue of BYW Magazine! Leave a comment Read the latest issue of BYW Magazine! A handful of exciting suppliers for you! Dine-In Leisure At Dine in Leisure in Dorset, we work towards your needs and reguirements to make sure you get value for money and a service you will remember and recommend to others. So, if you wanted to organise a business lunch, a family gathering party or any occasion involving a buffet our byte service … More A handful of exciting suppliers for you! Leave a comment A handful of exciting suppliers for you! Bright Sparks Fireworks Displays Ltd Bright Sparks Fireworks Displays can offer professional firework displays to add the finishing touch to your special day. We are fully qualified with recognised organisations within the pyrotechnics industry so you can be ensured your display will be executed with maximum safety. We offer our award winning displays from as … More Sunday’s Featured Suppliers! Leave a comment Sunday’s Featured Suppliers!